I have given 3 private shamanic breathwork session this week and I keep being deeply humbled by the depth of that practice. The meaning of the Hebrew word ruach is "breath," or "wind," or "spirit." In Scripture, the word is applied both to human beings and to God. Depending on the context, ruach can be talking about a person's emotional state of being, or their soul or spirit, and is sometimes used as an idiom, as in "a mere breath." When coupled with one of the names of God, ruach refers to the Holy Spirit (the holy breath...). For example, Ruach Elohim is mentioned in the first few verses of Genesis to describe the Spirit of God hovering over the waters (Genesis 1:2). In the Old Testament, the translated phrase is always "Spirit of the Lord" or "Spirit of God." In the New Testament, the Greek word pneuma is applied and translated "Holy Spirit." I remember in my Advaita Vedanta teachings how the "breathing in" is described as the action of "God" calling IN the breath, wanting to keep us alive. And the breathing out the doing of our own. Until one day Spirit does not call that breath in again... I feel that "she is breathing me / us". I feel that is how She loves us. I feel that it is where She is the most intimate with us. Every tradition, Christian, Jewish, Sufi, Buddhist, Hindus and Native cultures, always used the breath at the core of their spiritual practice. From very technical Pranayama to more "natural" Breathing through singing. Recently I went to a training "Wild Root" where the core of the practice is sighing. The most natur(al) way to let the breath coming out. To free the breath to find our root note. After training as a Breathwork practitioner last year I started to incorporate more breathing into all my sessions. And coupling it with shamanic healing. And after so many clients I can say that it is the closest and VERY SIMILAR to plant medicine work. Working on the depth of Trauma in the body. Releasing old stuck emotions. Revealing buried memories. Activating visionary Spiritual experiences. 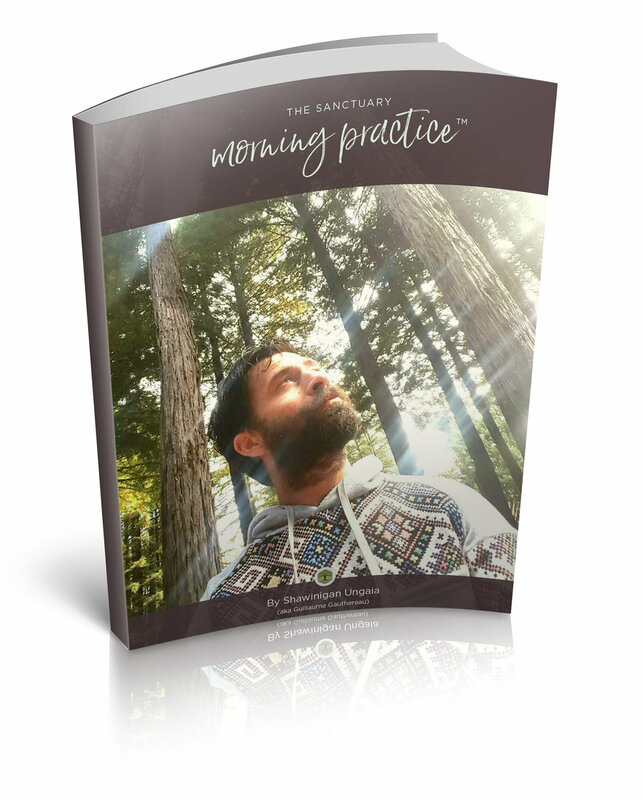 Today I am making the commitment to offer that great work for free, monthly, at The Sanctuary. Starting this month I will open the center to groups to come breath. Breath, as is water, should be free. A gift from God. A birthright. If you feel called to this work, I also offer online sessions, which are very powerful and can really change your life and your relationship to your "issues", from pain to trauma, from anxiety to depression, from addiction to anger. I hope we get to breathe together. I hope you get to reunite with your most powerful medicine. Your breath.